Crochet lovers around the world know, that it is hard to find good patterns of crocheted items and it takes a lot of time to search something on your taste, there are many books on random languages about crochet, patterns on the websites, but it is hard to find something, what will satisfy our taste, so we are trying to find and share patterns on the pretty-craft.com and hope this information on this website is useful for you. 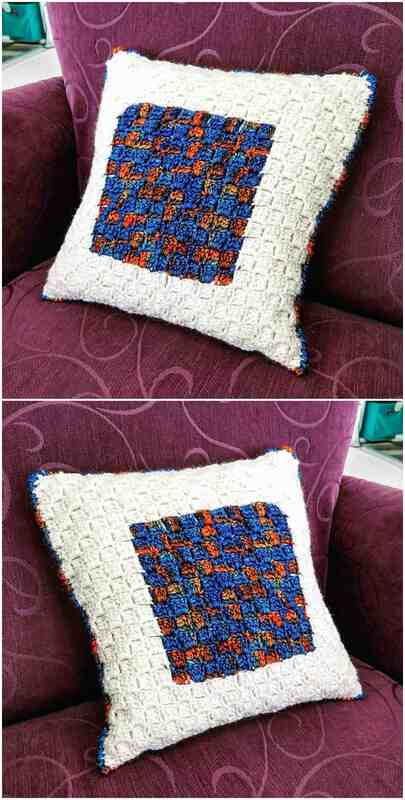 At this time we have an pillow pattern with amazing colors combination. Here is everything you will need to crochet this beauty, we hope you will like this. Special thanks to Emma Fahrlander for sharing this pattern for free.